We usually mount our pearl jewels on 14k gold, that is appropriate for all small accessories that are daily manipulated, such as safety clasps or small pendants, 14k gold is stronger than 18k gold and will last a lifetime. 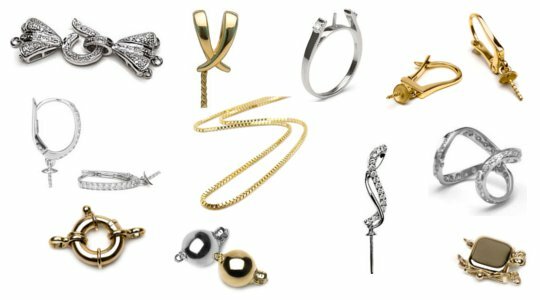 We can offer 18k gold jewels as well, rings, pendants, chains, earrings, yellow gold or white gold. Gold has a long and complex history. Since the first discovery of gold, it is the symbol of wealth and power of men. Gold caused the obsession among men and nations, destroyed some cultures and gave power to others. The earliest golden jewels ever found date back to the third millennium BC, gold lasts forever and never deteriorate, it is offered as a symbol of love, it is associated to the finest precious stones and rarest gems.